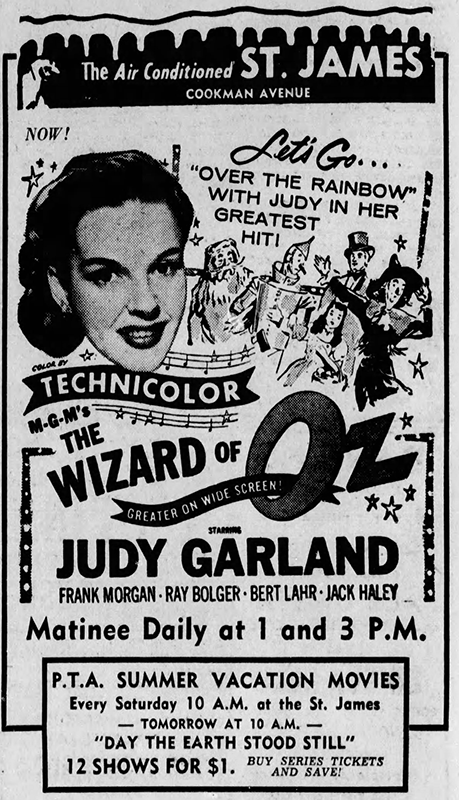 July 1, 1938: This ad featuring several upcoming MGM films, including Broadway Melody of 1938, was published in the Film Daily trade paper. July 29, 1939: “Good News” with Judy, Mickey Rooney, Douglas McPhail, Betty Jaynes, and June Preisser. 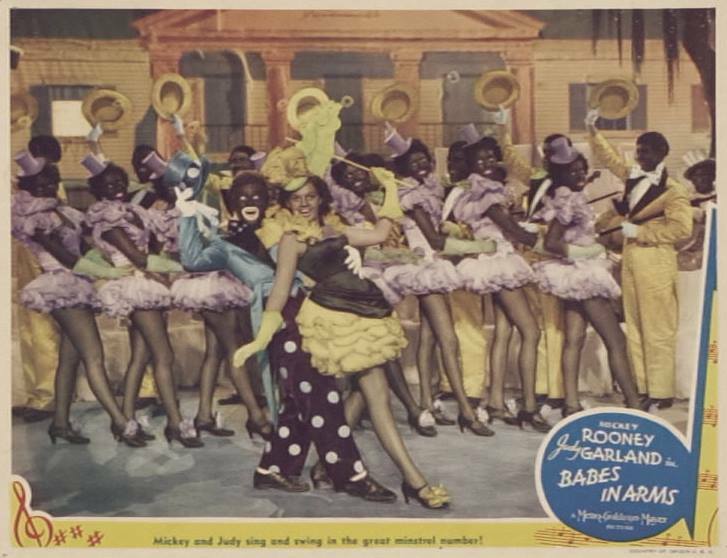 Also on July 1, 1939: Filming on “Babes In Arms” continued with the “Minstrel” number on the “Exterior Barn Theatre” set. Time called: 9 a.m.; lunch: 12:30-1:30 p.m.; dismissed: 5:45 p.m.
Also on July 1, 1939: Judy’s success was cemented by the fact that the famous New York landmark Reuben’s Delicatessen named a sandwich after her. Unfortunately, the restaurant closed in 2001. 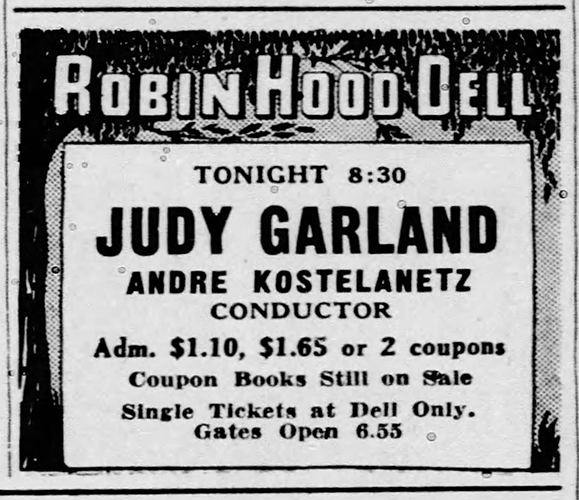 July 1, 1943: Judy’s very first time “in concert,” was at the Robin Hood Dell, in Philadelphia. 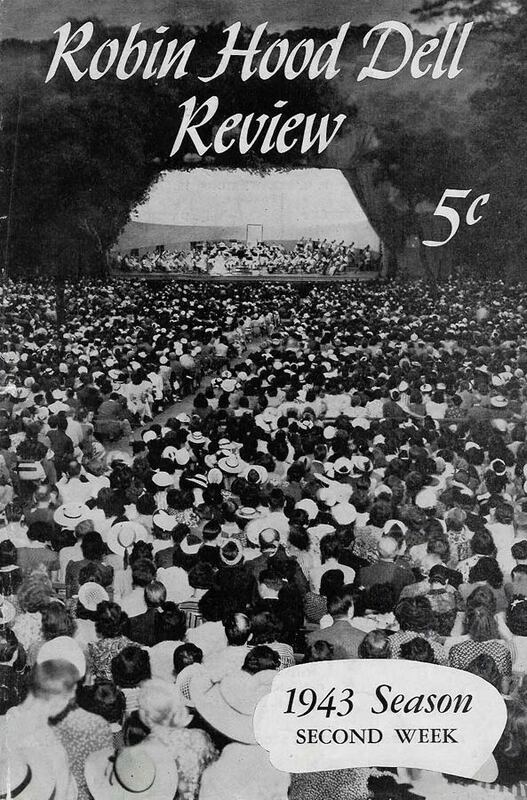 15,000 people packed the amphitheater well past its 6,500 regular capacity. Another 15,000 people sat on adjoining lawns, and in parking lots; another 5,000-10,000 people left when they could not get within listening distance. Judy’s appearance was a huge hit and ironically Judy’s last U.S. concert was also in Philadelphia on July 20, 1968, at the JFK Stadium. 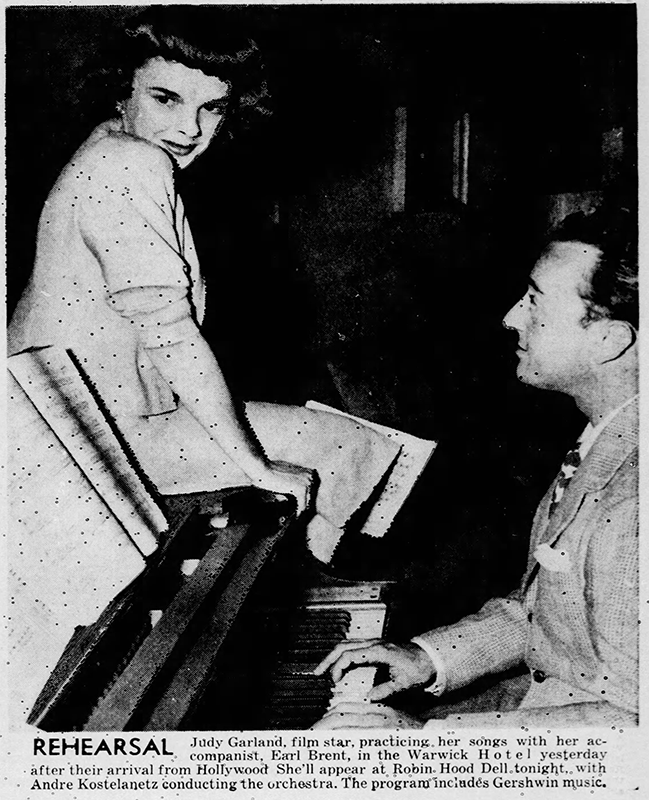 July 1, 1947: Here is one of many news items that went out featuring Judy and daughter Liza in photos taken on the set of The Pirate. 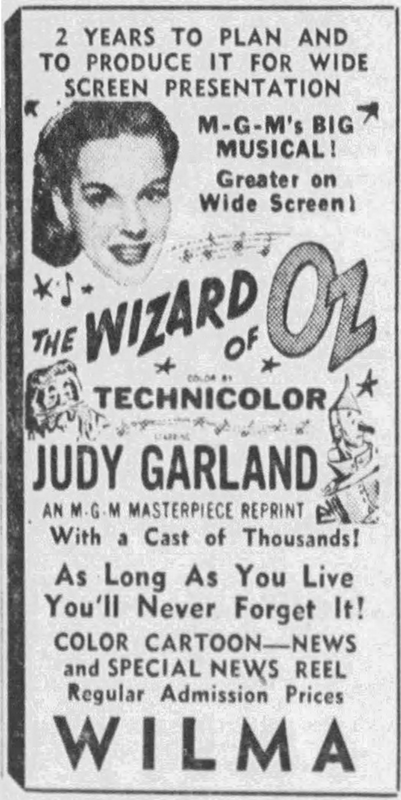 The news claimed that Liza was making her film debut when in fact she didn’t debut until 1949’s In The Good Old Summertime. 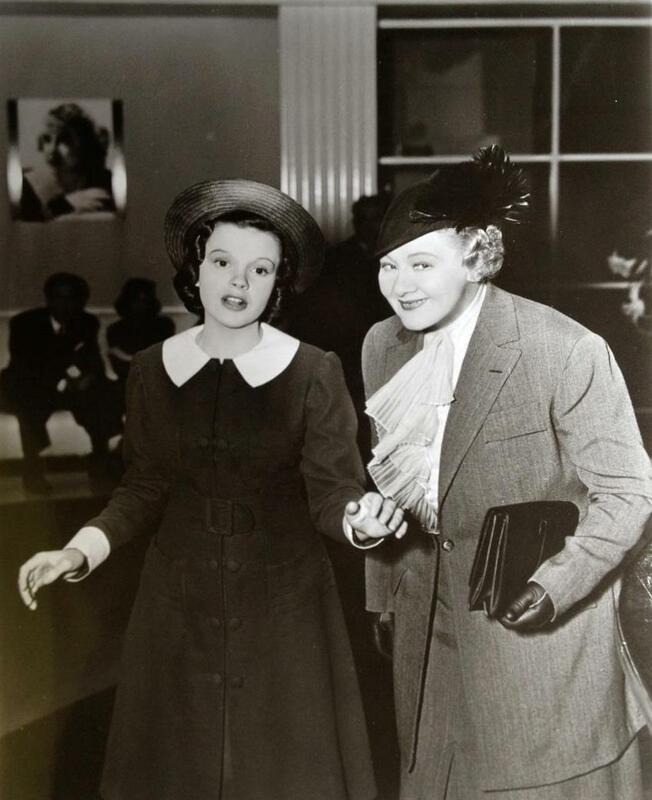 July 1, 1948: Judy had wardrobe fittings for The Barkleys of Broadway. No photos exist as these were simple fittings and not costume tests. 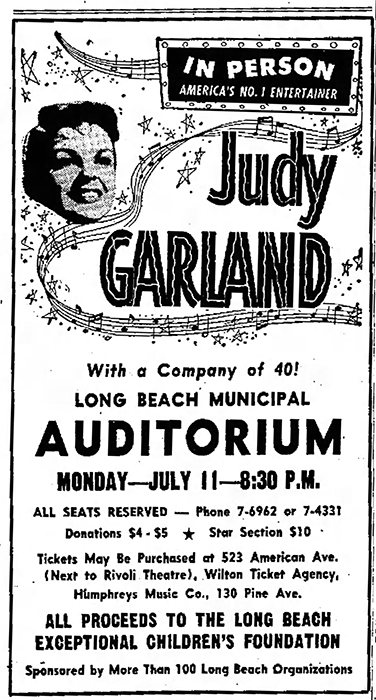 The session lasted from 11 a.m. to 12:45 p.m.
July 1, 1955: The Long Beach Independent continued its promotion of Judy’s upcoming show (on July 11th) in Long Beach. Advance buzz was that the audience would be peppered with a “who’s who” of Hollywood. 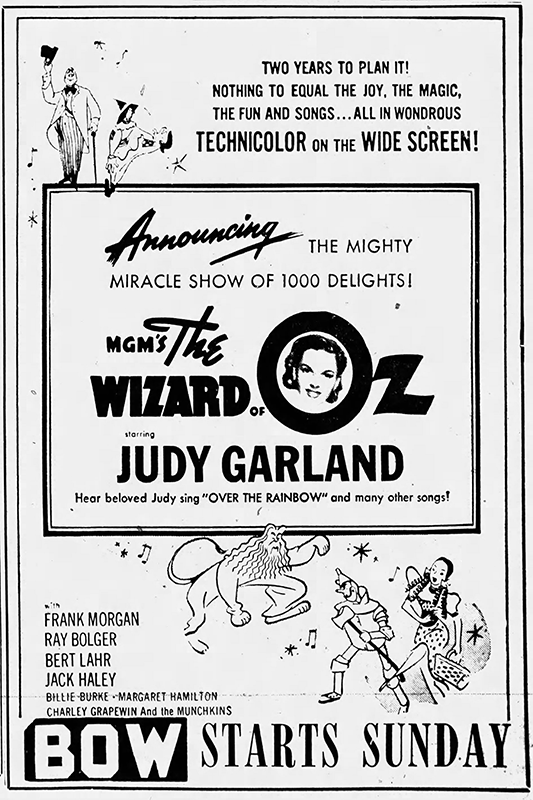 Also during this time, The Wizard of Oz was enjoying a second successful theatrical re-release. 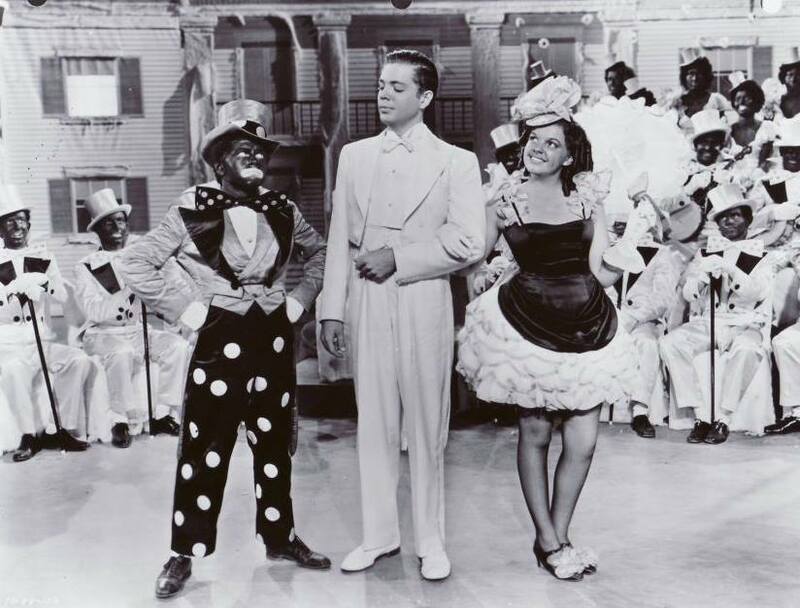 The film was leased to CBS the following year for its first television broadcast. 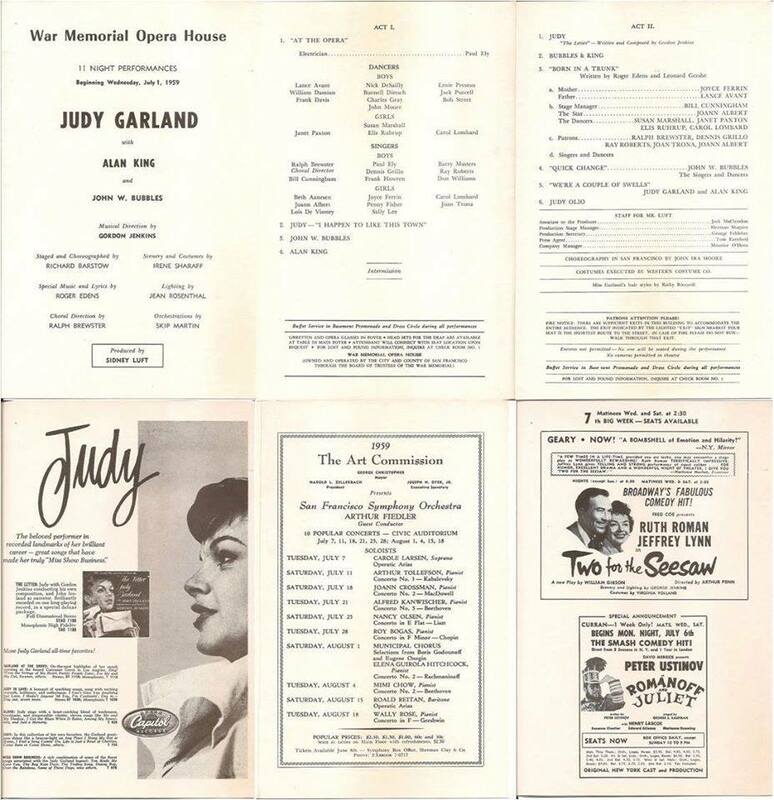 July 1, 1959: Judy opened a 10-day run at The San Francisco War Memorial Opera House, in San Francisco, CA. She added a new, Roger Edens-arranged version of the song “San Francisco” as her final encore, which stayed in her act for the rest of her life (she sang it during her very last concert). 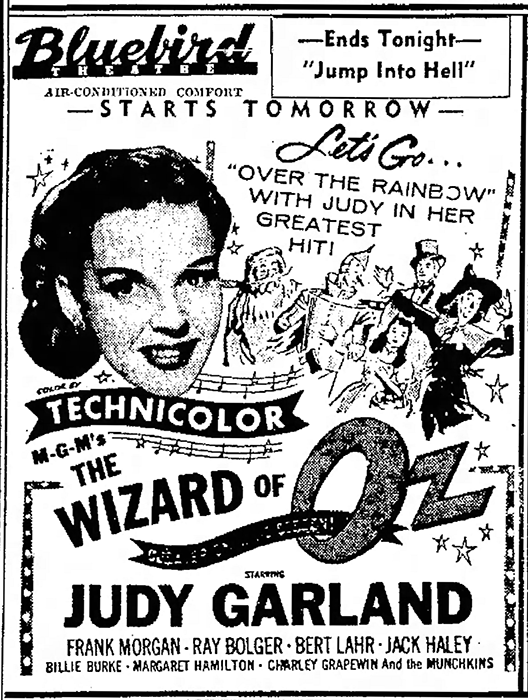 While in San Francisco, a suit was filed against Judy’s show by a group of ASCAP writers and publishers, claiming they weren’t paid for the use of the songs “A Couple of Swells”; “A Wonderful Guy”; and “This Can’t Be Love.” They did this because the venue didn’t operate under a “blanket license” with ASCAP as did other theaters. Sid Luft stated he had paid for the performing rights. 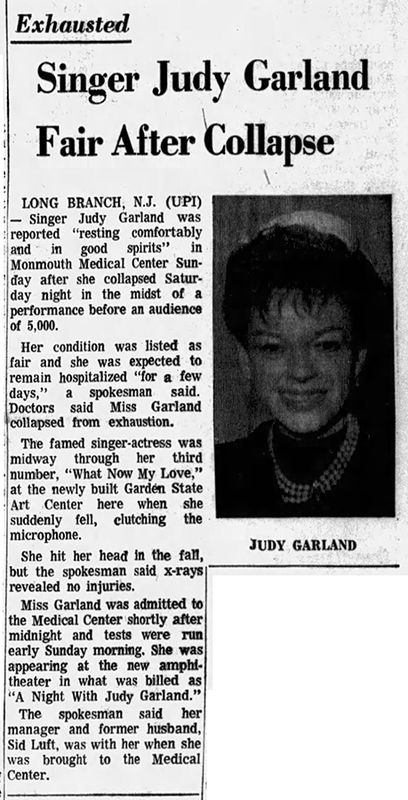 July 1, 1968: The news of Judy’s hospital stay and her recent collapse on stage was big news. On June 29th, during her final night’s performance at the Garden State Arts Center in Holmdel, New Jersey, Judy fell asleep on the stage. The story was that she collapsed from exhaustion but the truth is that she was suffering from too much medication. She was carried off stage (still clutching her microphone!) and rushed to the Monmouth Medical Center. She left and checked into the Peter Brent Brigham Hospital in Boston to go through a withdrawal program. 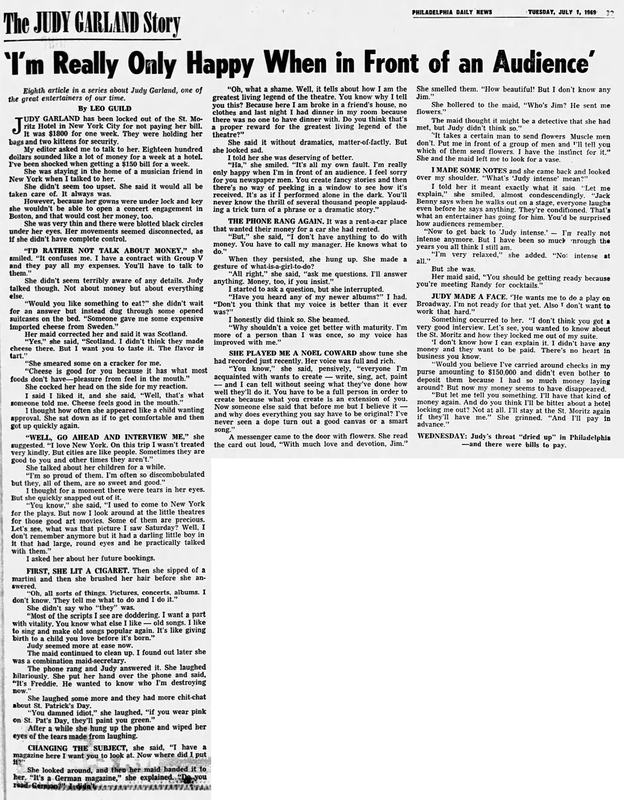 July 1, 1969: The eighth in a series of articles about Judy published immediately after her death. 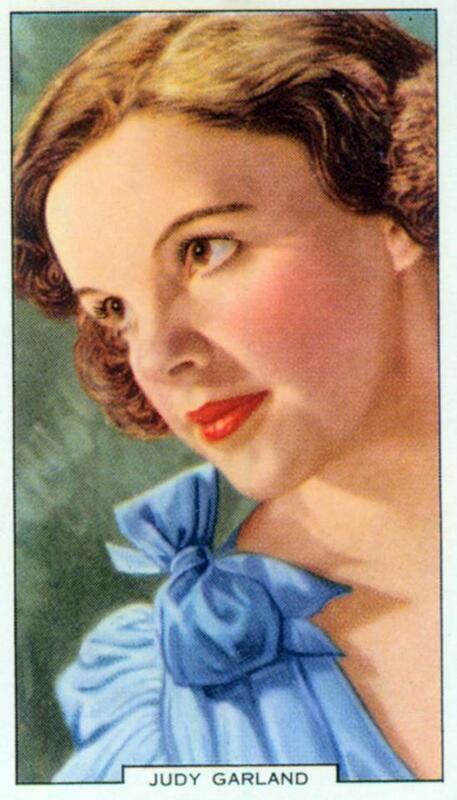 JUDY GARLAND has been locked out of the St. Moritz Hotel in New York City for not paying her bill. It was $1800 for one week. They were holding her bags and two kittens for security. My editor asked me to talk to her. Eighteen hundred dollars sounded like a lot of money for a week at a hotel. I’ve been shocked when getting a $150 bill for a week. She was staying in the home of a musician friend in New York when I talked to her. She didn’t seem too upset. She said it would all be taken care of. It always was. However, because her gowns were under lock and key she wouldn’t be able to open a concert engagement in Boston, and that would cost her money, too. She was very thin and there were blotted black circles under her eyes. Her movements seemed disconnected as if she didn’t have complete control. She didn’t seem terribly aware of any details. Judy talked though. Not about money but about everything else. Her maid corrected her and said it was Scotland. She smeared some on a cracker for me. She cocked her head on the side for my reaction. I thought how often she appeared like a child wanting approval. She sat down as if to get comfortable and then got up quickly again. She talked about her children for a while. I thought for a moment there were tears in her eyes. But she quickly snapped out of it. I asked her about her future bookings. FIRST, SHE LIT A CIGARET. Then she sipped of a martini and then she brushed her hair before she answered. She didn’t say who “they” was. Judy seemed more at ease now. The maid continued to clean up. I found out later she was a combination maid-secretary. She laughed some and they had more chit-chat about St. Patrick’s Day. After a while, she hung up the phone and wiped her eyes of the tears made from laughing. She looked around, and then her maid handed it to her. “It’s a German magazine,” she explained. Do you read German?” I didn’t. She said it without dramatics, matter-of-factly. But she looked sad. I told her she was deserving of better. THE PHONE RAN AGAIN. It was her rent-a-car place that wanted their money for a car she had rented. When they persisted, she hung up. She made a gesture of what-is-a-girl-to-do? I started to ask a question, but she interrupted. I honestly did think so. She beamed. SHE PLAYED ME A NOEL COWARD show tune she had recorded recently. Her voice was full and rich. 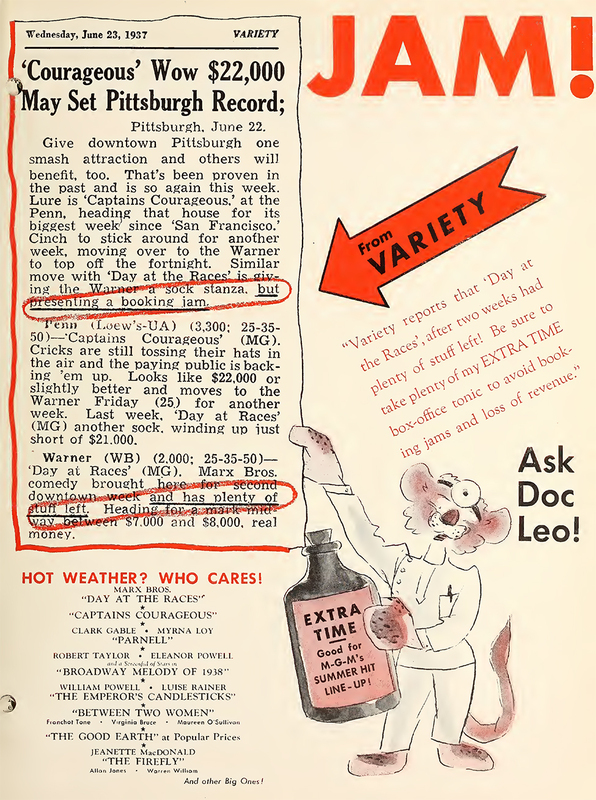 WEDNESDAY: Judy’s throat “dried up” in Philadelphia – and there were bills to pay. I have always said, ever since I was a kid, if I could go back in time to ONE Garland concert, it would the 1943 Dell event. 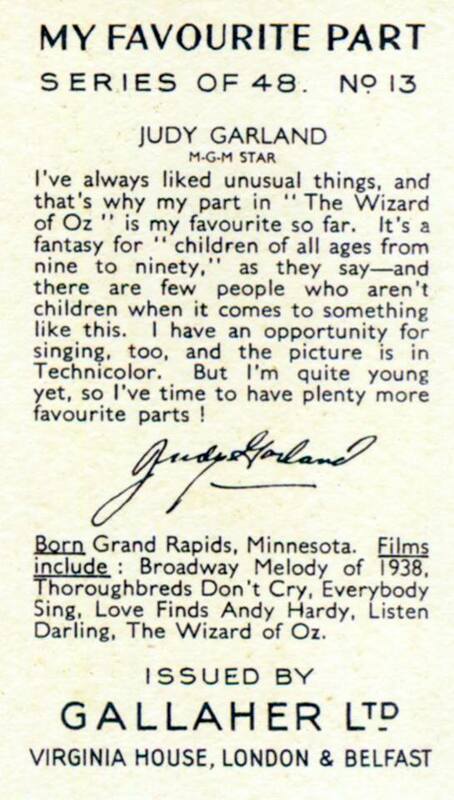 This is because my favorite “Judy Garland” is early to mid-’40’s, when her voice was so pure and youthful. But also because she only did ONE concert during this era. Too bad there are no recordings of this. Her falling asleep 50 years ago must’ve been a TRIP to witness. For her to just be singing “What Now My Love?”, then fall to the floor??? Sounds more like fainting ! How times have changed. Today, when stars go into rehab, it’s in the hope of quitting. But with Judy, it was just to detox, so she could prepare to start her “medication” all over again. Very, very sad. Thanks for another great offering! 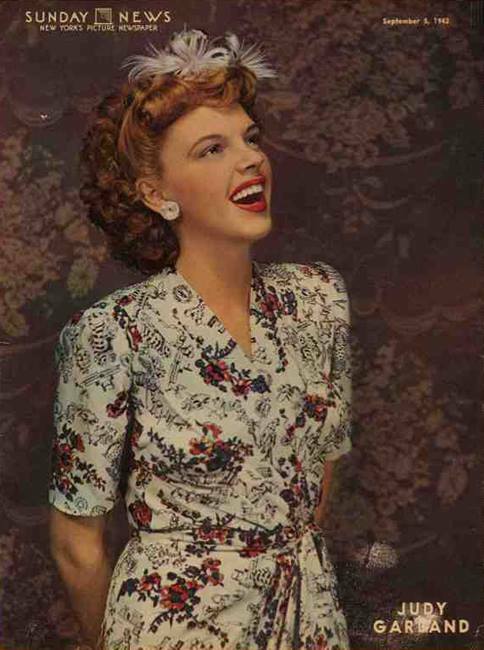 Love that color magazine pic of Judy in the print dress from ’43. 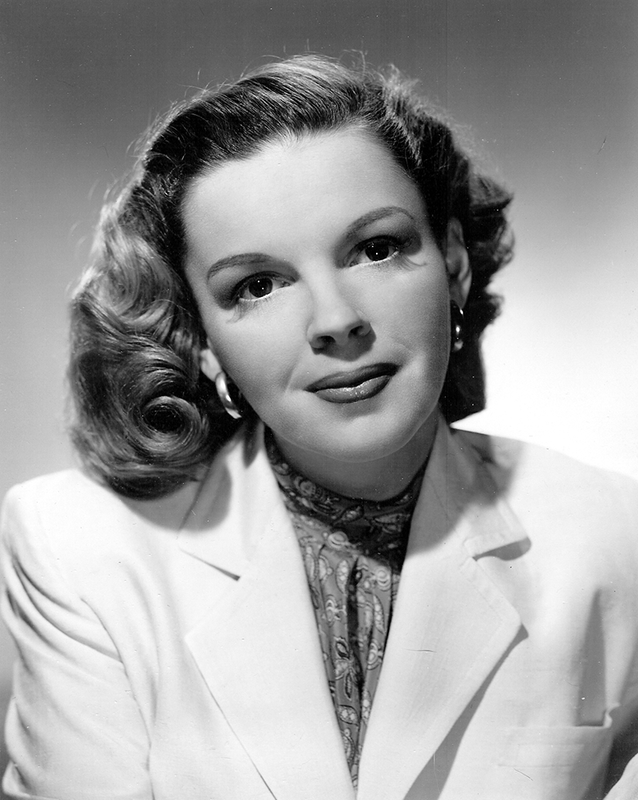 Interesting that Judy didn’t sing one song from her current “Presenting Lily Mars.” Both “Tom, Tom, the Piper’s Son”, and the lovely “When I Look at You” would’ve been welcome. She never sang these on radio OR recorded them for Decca either – her only MGM picture thus far to not have ANY commercial recordings! Odd.